We value your comments! Visit our guest book to sign or read entries. 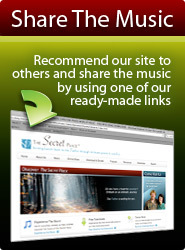 Learn more about the history and background of your favourite songs from The Secret Place.